Convert Email to JPEG for backup free! In order to create image copies of your email file you can convert them to JPEG. It is not a standard functionality of any mail client, and usually people need additional program to do this. 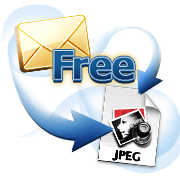 However, you can convert email to JPEG free online, using a converting service from CoolUtils. 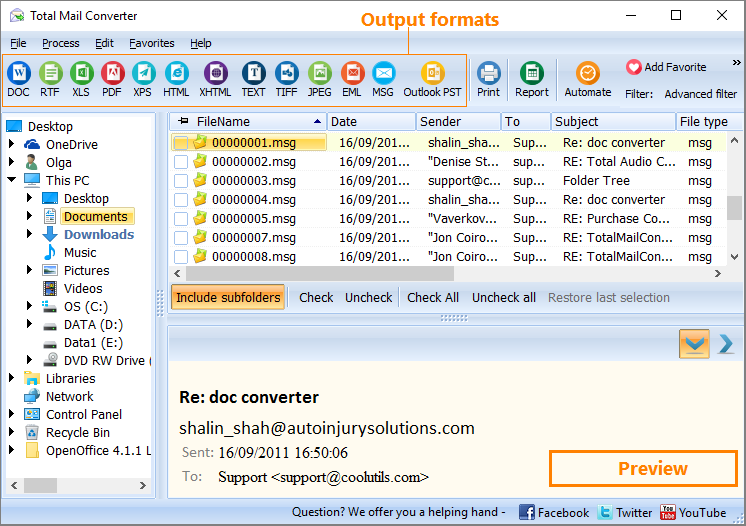 The developers of the famous Total Mail Converter also offers online free mail converter with basic formatting options. The process is simple. File that should be converted is uploaded to a server, then user selects format for conversion and makes format settings, and presses Download button. Then converted copy can be opened or saved to a folder. This free email JPEG converter makes it possible to add header and/or footer to a converted copy. In header and footer usually page number or date is output. However, this can also be a plain text. Just enter the info in according fields on converter's page. Conversions are available for everyone without registration. 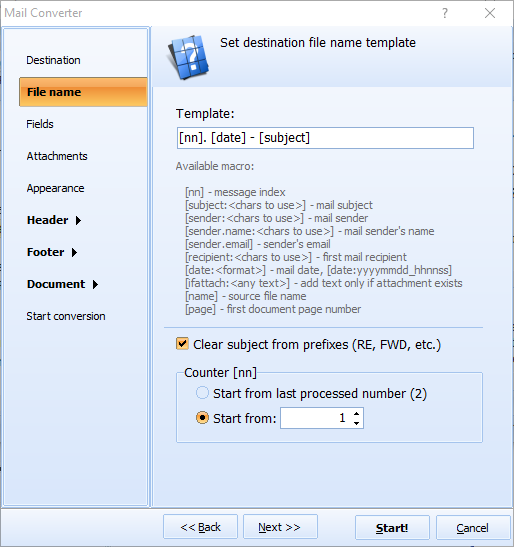 The files on the server of this online mail converter are secured from third-parties, you can be sure in confidentiality of this service. Converted copies contain only the info of your original email, without any banners, watermarks and other unwanted stuff. That is why it is suitable for commercial emails too. The service is free but limited to 5 files per day. The only thing is that you will need to turn emails to JPEG images one by one, as no batch conversion is available in online version. All steps are very easy to repeat, you will just need little more time to process all message files. 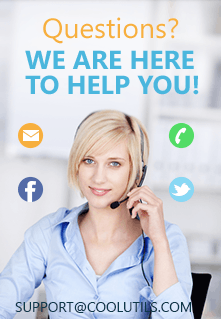 Try this online converting tool for free, without any registrations and installations! 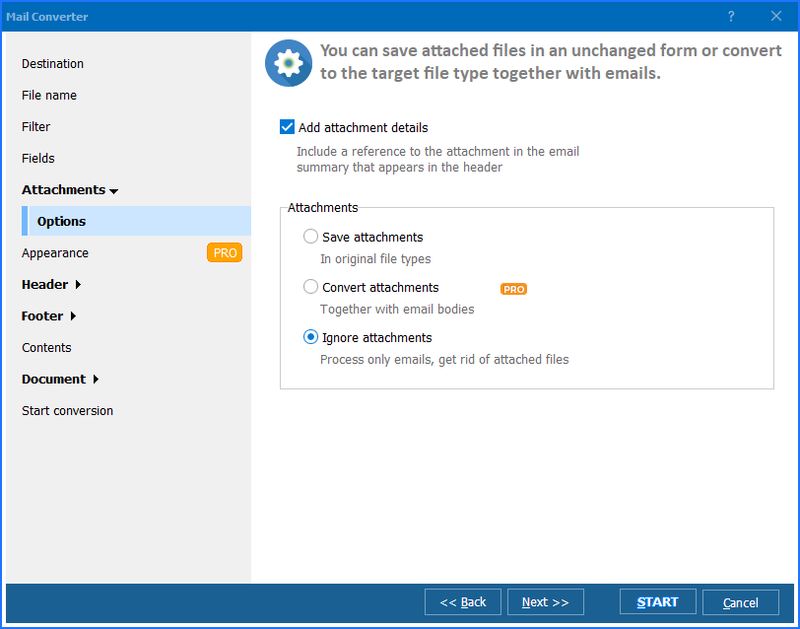 If you need a more powerful engine with flexible conversion settings, try the desktop Total Mail Converter. It work in a batch mode, offers many additional features for you to get the perfect output.